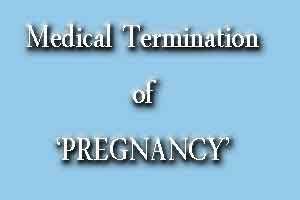 NEW DELHI: The Health Ministry has proposed an amendment to the Medical Termination of Pregnancy (MTP) Act and recommended inclusion of medical practitioners with degrees in traditional medicine to increase the availability of legal abortion services, Rajya Sabha was told today. This is proposed to be done “by including medical practitioners with Bachelor’s degree in Unani, Siddha, Ayurveda or Homeopathy and working in public health sector using medical methods of abortion,” Minister of State for AYUSH, Shripad Yesso Naik said in a written reply. However, he said that the Indian Medical Association (IMA) and Federation of Obstetric and Gynaecological Societies of India (FOGSI) have objected to inclusion of new cadres of providers. Naik said that they are opposed to allowing non-allopaths to ‘prescribe’ allopathic medicines and perform allopathic procedures. “The Health Ministry has invited the IMA and FOGSI representatives to provide a solution for ensuring safe abortion services for women in rural remote areas where there is no allopathic doctor to which, however, no solution has been offered,” he said. He said that the ministry has proposed to allow these practitioners in public facilities in the expanded provider base to conduct MTPs using medical methods of abortion. Naik maintained that the conditionality regarding place of service delivery, training requirement, gestation limit, technology would be defined in the Rules subsequent to approval of the MTP Amendment Bill by Parliament. Replying to another question, he said that as per information provided by the Council for Scientific and Industrial Research (CSIR), Traditional Knowledge Digital Library (TDKL) consists of 2.93 lakh medical formulations of Ayurveda, Unani and Siddha available in public domain in five international languages while work on TDKL Yoga is under progress. Naik said that ten international access agreements on TDKL have been concluded with US Patent and Trademark Office, Patent offices of Europe, Canada, Germany, Japan, the UK, Australia, Malaysia and Chile including Indian Patent office. He said that the Russian Patent office has approached India for entering into TDKL access agreement and the negotiations are in advance stage. He said that the Department of Industrial Policy and Promotion (DIPP) has informed that a proposal has been moved for signing access agreement with World Intellectual Property Organisation to include TDKL under Patent Cooperation Treaty (PCT) Minimum Documentation to prevent the misappopriation of traditional knowledge through wrongful grant of patents in other countries.